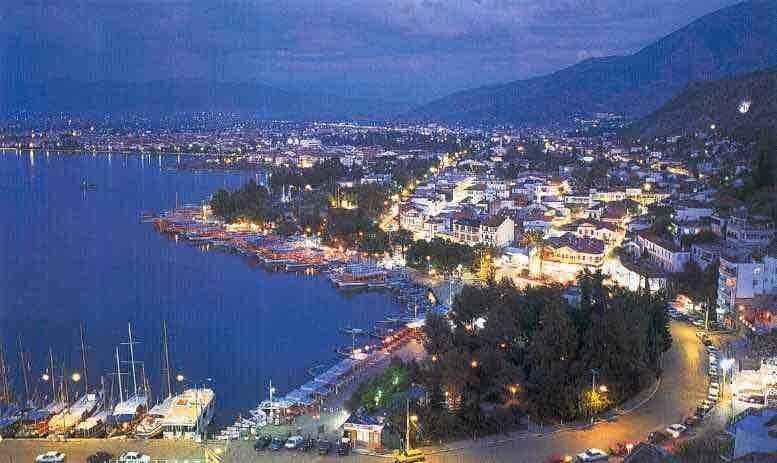 Fethiye town is only a 10 minute bus ride or drive away from all our properties and 30 miles from the international airport of Dalaman where flights are available from all over the world. This historical town has beautiful ancient ruins set amongst the mountains and pine forests, a must for walkers and sightseers. A bustling town with its famous market on a Tuesday where you will find local produce and traditional Turkish gifts. From Fethiye harbour you can travel to Calis on the water taxis or take a trip on one of the organised sightseeing boats, have lunch and take a dip in the beautiful turquoise sea. They are many excursions available from the thriving and bustling marina area. There is an abundance of bars and restaurants all along the marina front and plenty of shops to keep you busy all day. Fethiye is very easy to get to from neighbouring villages Ovacik, Hisaronu and Oludeniz. Not to be missed in the centre of Fethiye is the fish market restaurant area where you can buy a variety of fish caught that day and have it cooked for you while you sit and enjoy a good glass of wine or beer with bread, olives and salad. A very unique experience and one you will talk about for a very long time. 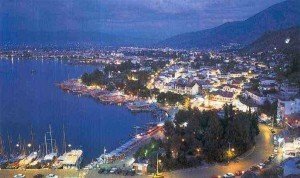 Fethiye Town is a very upmarket region with restaurants slightly more expensive than the local villages, but well worth the effort of having a good day or night out there.